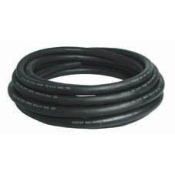 If you need to change your heater hoses, this German hose is the best choice. Constructed of aluminum, it is overlayed inside and out with paper. One length of hose is generally sufficient to do both sides. Smart VW owners use cloth braided fuel, vacuum, and breather lines in their engine bay and under their fuel tank as VW designed. 12mm and 14mm lines are often found in the fuel tank area to vent the tank, as well as on engines for oil breather and crankcase ventilation lines. Smart VW owners use cloth braided fuel, vacuum, and breather lines in their engine bay and under their fuel tank as VW designed. 12mm and 14mm lines are often found in the fuel tank area to vent the tank, as well as on engines for oil breather and crankcase ventilation lines. 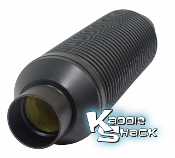 Replacement vacuum hose for use in the engine bay, to the distributor, and under the hood as fuel tank vent line. Brass Fuel Tee - 1/4"
Do you need to vent your stock or aftermarket valve covers? Do you need to add a breather to your air cleaner? Simply drill a hole and install this vent. Do you need to vent your stock or aftermarket valve covers? Do you need to add a breather to your air cleaner? Simply drill a hole and install this vent. The deluxe version comes with longer barbed fittings so the hose does not come off as easily.